I love to read, especially when I get stuck into a topic and want to dig in and learn more. So I wanted to share some of my current favorites with you! Maybe you’re heading off on a late summer vacation, or perhaps you’re thinking about heading into Fall, and what books you want as you curl up in a cosy chair… Whatever the season, a great read is an essential for me. If you ever want a longer list that is constantly updated, you can always check the book section on my Amazon store here to see what’s on my reading list now, and lots that I’ve loved in the past! This is such a powerful book. We often don’t think about hormones in health but they are so important, and central to our metabolism. Lots of issues can stem from our hormones and this is a great book to help you gain information, and begin to set your body straight! You’ll find this book fascinating!! If you follow my instagram or Facebook you’ll know that getting my feet on the earth has become a part of my life and I do it to help me when I travel and when I’m at home. (You can read my blog post Let’s Get Grounded here.) 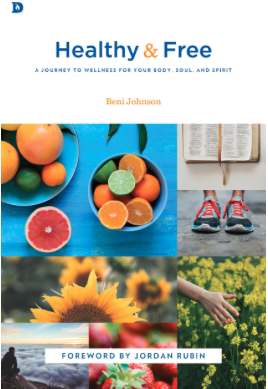 In the author’s words, “The ground beneath us is more than something we just stand, walk, play, and build on.” And this book tells you all about just what it can do to get our feet out and on the ground! We love Brian Simmons and all of the Passion Translation that he is working on and releasing – I recommend it all! The Psalms “Poetry On Fire” is a great one to pick up every day to renew your mind, encourage your spirit and keep your eyes on the truth and promises of God, I’m so grateful for it! It’s what Simmons describes as a ‘heart-level translation that expresses God’s fiery heart of love to this generation… merging the emotion and life-changing truth of God’s Word.’ A must have in every season! This book will bust some myths for you about how our bodies work, exercise and weight loss! Counting calories, eating less and killing days doing cardio is not the way forward. I’m always telling people to eat more to lose weight and they are shocked. But then it works. These guys give you the science to understand it, to see how our bodies actually work and how we should be treating them to get the results we want. Let me know what you think if you pick any of them up! Just ordered Earthing and a documentary DVD based on the concept. I’m like a sponge and can’t absorb the information fast enough. Thank you, Beni. The Holy Spirit has been leading me in similar territory of interest (grounding, rest, hormones, etc), but you have the time to find the science or even the names for things that are just hitting my spirit as I go about the day and, for instance, notice I like going barefoot so much! So encouraging to me when He flows through the Body to teach us about our bodies! By the way, the things I am learning about health are drawing my friends who don’t know Christ but value health – especially the new-agers in my family. They are amazed that I juice and am peaceful without the yoga (grin). His peace and joy to you today. But I picked up the Passion translation of the Psalms a few months ago and it has been the incredible for my spirit and my soul. It is so rich and vibrant, making passages I have read for years come to life in an amazing way.